Designed by the same dude who gave the world the Rolls-Royce Phantom, these TwinLuxe shaving sets cost—naturally—between nearly $800 and $1600. They are classy! 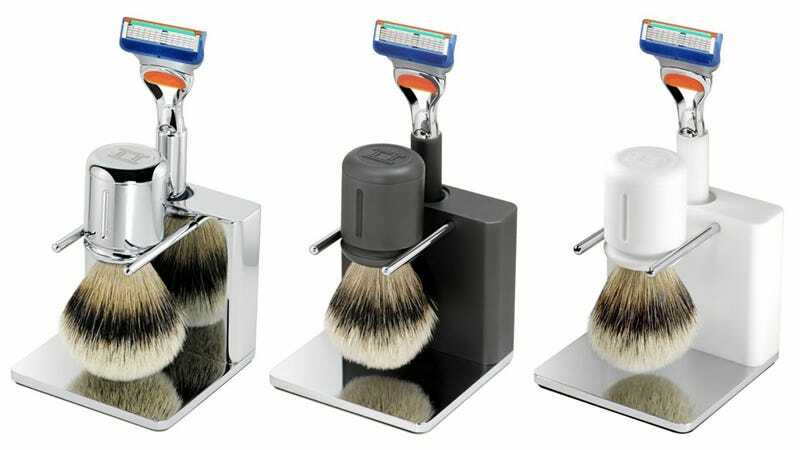 But why so expensive for a razor set that uses standard Gillette Fusion cartridges? Well! The $1600 Arctic set is constructed with "solid white alumina ceramic," typically used in ballistic armor, while the $1000 Anthracite set is built with PVD coating that's also used in racing components and guns. So there's that. Also, TwinLuxe knows that truest of truths: Rich people like spending a lot of money on things that subtly proclaim, "I have a lot of money, so I can afford the finer things in life, like this super minimal and superbly crafted razor set. What have you bought that so resolutely affirms your station in life?"